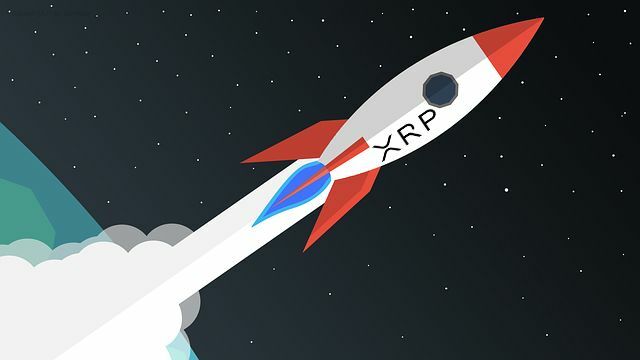 The Future for XRP - Rocket is Ready, When is the Launch? The Future for XRP – Rocket is Ready, When is the Launch? This article reviews the latest achievements and future forecasts for XRP. Can XRP drive mass adoption? The walk down through the cryptoland can sometimes be difficult, confusing and even overwhelming. Currently, the downtrend in the market has left most investors, commentators, and traders wondering what will happen next. 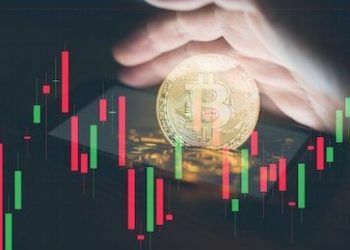 Despite the bearish trends, various development projects have come up and with the regulators tightening the rules, only the tokens with underlying real assets or brands may survive and thrive in the long-term. Among the cryptos with various developments is Ripple’s XRP. Despite the downtrend, XRP performed exceedingly well in 2018 even dethroning Ethereum from the second position in the market capitalization list. The Ripple blockchain facilitates the trading and transactions of XRP, its digital currency. Currently, the market cap for Ripple is oscillating just above $12 billion and it is listed on every major cryptocurrency exchange worldwide. The price predictions for this currency look optimistic especially with its rocket ready waiting for the launch. Also, the multiple collaborations with Payment Providers and Banks have enabled the crypto to quickly gain steam to become the go-to currencies for transactions and exchanges. Regarding the transactions, on January 29, 2019, XRP reached 875 057 transactions. 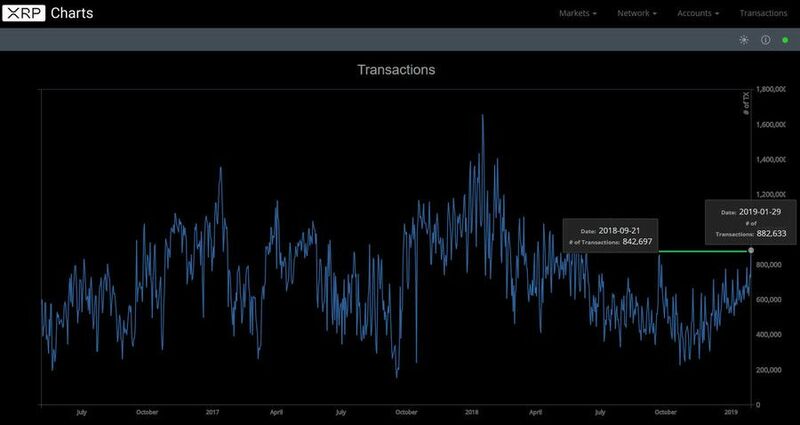 The number is quite impressive and it brings the XRP transaction number sentiment back to September 21, 2018. Back then XRP performed 842 697 transactions. A growing number of major banks have sought out the Ripple blockchain to be incorporated in their systems, to enhance efficiency and make the network more secure. With such growing demand for Ripple’s blockchain, XRP’s price is also expected to surge. 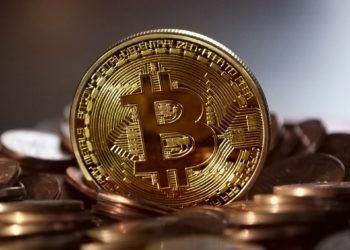 The digital currency can get transacted with speeds of up to 1,500 transactions per second compared to Bitcoin’s 7 transactions per second speed. The current circulating supply of XRP is $41.169 billion. A while ago, a popular crypto influencer, Ran Neu-Ner tweeted in support of Ripple’s (XRP) while concurrently discrediting Bitcoin Cash and Bitcoin. He urged investors to shun BCH and BTC and instead focus on XRP. These positive sentiments from the community show that Ripple has a future with a high rate of mass adoption that has propelled it to the top. Ripple has recently been working quietly trying to expand its network of partners to accelerate the usage and adoption of its token, XRP. It invested $300 million in a RippleNet accelerator program that provides financial incentives to various institutions that promote the usage of the Ripple payments system. The company took around $300 million in XRP from its holdings to fund the accelerator program. The program features a ‘Volume Rebate and an Adoption Marketing Incentive’ as explained in the company blog. The rebate is an incentive that offers XRP rebates to RippleNet members which have reached particular milestones with regards to processed transaction volume. 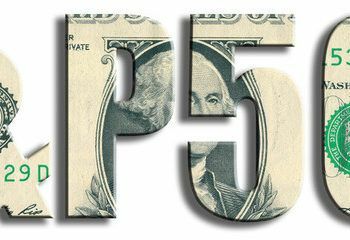 The reimbursements may cover between 50-300% of the integration fees together with the first year’s license fees. Users can take reimbursements in XRP or USD but the resale of tokens is restricted to ‘support healthy XRP markets’. In the second phase, members who promote Ripple services to other companies will get rewards from the adoption market incentive program. RippleNet members will get marketing materials and tools to help in the expansion of the ecosystem. Monica Long, Vice president of marketing at Ripple, likened the initiative to the early days of PayPal. 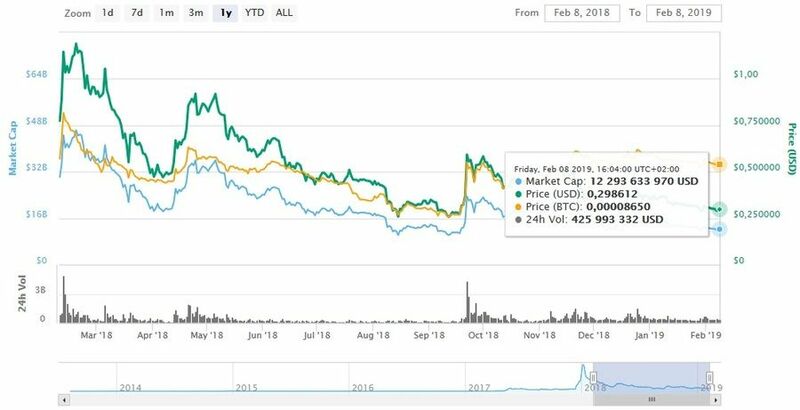 In another separate report, Ripple is alleged to have sold $535.5 million XRP in 2018 with approximately $129 million in Q4. The report added that about $40 million was sold to institutional investors in the fourth quarter. $89 million was sold through several third parties including crypto exchanges. XRP sales report for 2018. Ripple blog image. Recently, an analytics firm claimed Ripple’s market capitalization could be inflated by over $6 billion. That would consequently half the current figure of $12.29 billion. However, all these claims do not stop analysts and commentators of XRP from predicting gains in the future. The underlying partnerships and developments associated with Ripple mainly account for the positive sentiments that investors have for the XRP token. Recently, the World’s largest crypto exchange Binance announced that they want to add Ripple’s xRapid as a partner in future. The partnership shows that more institutions and individuals are confident in Ripple’s potential growth. Ripple has publicized the most recent new partners in its global University Blockchain Research Initiative, which include universities in various parts of the world including Singapore, China, and Brazil. The research is set to make the platform efficient and effective hence boosting user experiences and safety. Cryptocurrency payment processor CoinGate also added Ripple’s native token XRP to its payment options for merchants. Additionally, SBI Holdings published its nine-month financial report, recognizing Ripple’s potential in cross-border payments. All these endorsements, partnerships, research programs, and developments are set to propel Ripple and XRP higher in the cryptocurrency ecosystem. Recently, TransferGo stated that they aim to become a global real-time payments company. Technological advancements improve efficiency which calls for all players in the global financial networks to enhance their processes to avoid being left behind. Also, the head of operations at TransferGo explained that to provide real-time payments, they see Ripple as a strategic partner to achieve this goal. Since TransferGo is a major success in Europe, its endorsement of the Ripple network will sequentially result in mass adoption of the blockchain and the XRP token that it supports. These symbiotic partnerships are partially responsible for propelling Ripple higher. With the Ripple blockchain set to offer cross-border payments, an implementation of the technology in multiple industries will make the digital token surge when the crypto winter subsides giving way to market resurgence. At spot rates, XRP is trading at around $29.8 cents. This area is around the level that marked the bases of January 30 bullish bar. After reaching lows of $0.2850, the token began a small upside correction. It has exceeded the 23.6% Fib retracement mark of the latest decline from the $0.2987 high to $0.2849 low. However, its persistence pushed it above the $0.2910 and $0.2920 resistance levels and the $0.2930 pivot level. As long as the bears fail to wipe out the gains made since January 30, bulls are in control. In the case the bears take over, they might be aiming for the 25 cents levels. On the upside, the price may be headed to 32 cents and once that level is passed minor buy triggers have accumulated around 34 cents.